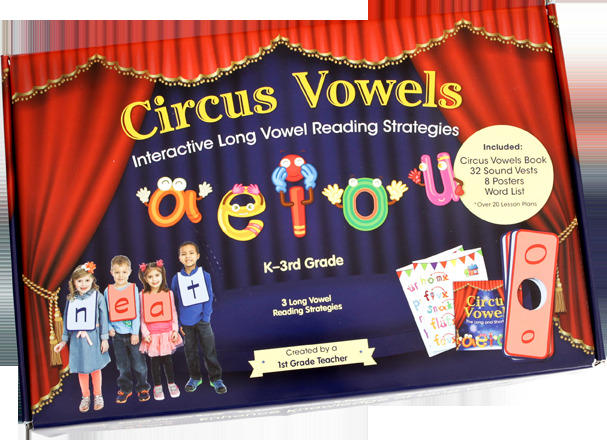 The Circus Vowels Interactive Reading Kits include everything you will need to teach a 30 minute long vowel lesson to beginning and struggling readers. You will be able to read the book and students will be able to interact with the lesson while wearing the sound vests. The kit also includes materials for extension activities.